The story of man who is only happy when he is not. 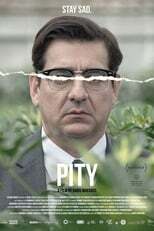 Pity is directed by Babis Makridis and was released on Sep 28th, 2018. Director Babis Makridis's Drama movie Pity is produced by Faliro House Productions & Neda Film & was released 2018-09-12.